The story of a Guyana-born Hull sailor. Throughout the First World War, Allsopp served as part of the Merchant Marine and continued working as a Steward on board ships after the conflict was over. The 1939 register shows that Allsopp was living at 9 South View, Parsley Street, Hull with his wife, son Henry who was working as a hotel cook, Herbert who was employed as a fish filleter and Ernest who was a lorry drivers mate. Joseph L. Marse, a ships cook, also lived with the family. 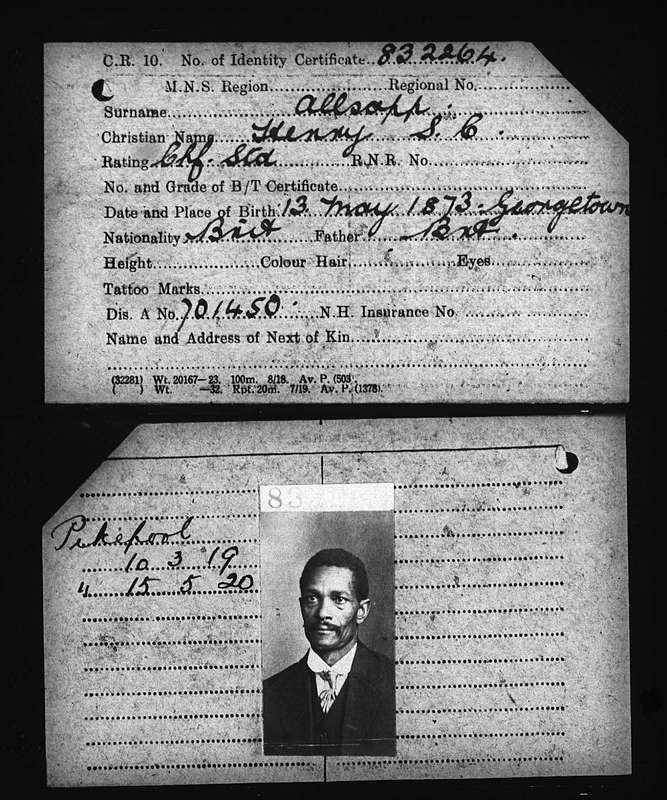 Henry St. Clair Allsopp's CR.10 card. Hull Daily Mail, 3 June 1940. It is believed that the Allsopp family remained in Hull after the Second World War had ended. In 1945 Henry St Clair junior married Irene Flowers. He died in the region in 2000. Find My Past, 1911 Census information, https://search.findmypast.co.uk/record?id=gbc%2f1911%2frg14%2f28620%2f0377%2f1, accessed 14/05/18. The couple did have another child, however their records are sealed because they are still alive or have only recently deceased. Wreck Site, https://www.wrecksite.eu/wreck.aspx?11074, accessed on 14/05/18. Hull Daily Mail, 3 June 1940, p. 1.